Soft drinks – coke and energy drinks especially – destroy your teeth. They contain acids that dissolve your enamel. Drinks that are not assembled in factories, such as tea, red wine and grape juice, do the opposite, researchers at the University of Freiburg in Germany discovered. The polyphenols in these products get rid of the bacteria on your teeth. Bacteria live in biofilms on your teeth. Some bacteria do no harm – the eubacteria – but others give you bad breath and destroy your teeth. They convert proteins in your food into sulphur gases and convert carbohydrates into acid. And it's that acid that dissolves your enamel. The streptococci are the really evil enamel destroyers. Phenols in food should in theory be able to prevent the bad bacteria from doing their work. Polyphenols inhibit proteins, including the proteins that bacteria use to stick together in biofilms. The researchers wanted to know whether polyphenol-rich foods also do this in real life, so they did an experiment with six volunteers and pieces of enamel from cows' teeth. The test subjects put the pieces of cow enamel in their mouth and then drank red wine, black or green tea, cistus tea or red grape juice. Two hours later the researchers took the pieces of cow enamel out of the test subjects' mouths and examined the number of bacteria on them. The results are shown below. Cistus tea performed best, followed by red wine and grape juice. Whether the last two are really good for the teeth, the researchers are not sure. While they do remove micro-organisms from the enamel, wine and juice contain acids - and acids dissolve enamel. The Germans fear that one effect might cancel the other out. In the test described above the researchers looked at all bacteria. But they also made measurements where they differentiated between benign organisms [Eub] and dentally damaging streptococci [Strept]. Green tea turned out to be the best streptococci fighter. 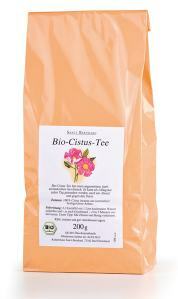 If you want to prevent bacteria build-up on your teeth, cistus tea is the best choice, the researchers conclude. If it’s the nasty streps you're after, then green tea is your best bet. Japanese researchers published a study last year which showed that an extract of green tea was effective at fighting bad breath in human volunteers. The polyphenols in green tea sabotaged the metabolism of the streptococci.